Hawaiian Airlines revealed yesterday an updated brand identity and the freshly-painted livery of a Boeing 717 (N488HA), the first of its fleet of more than 50 aircraft that will feature the new design. Pualani (Flower of the Sky), the beloved icon of Hawaiian’s brand for more than four decades, continues to gaze forward on the tail of the aircraft; beneath her, a silver maile lei with woven pakalana flowers wraps around the fuselage in a larger-than-life expression of the aloha spirit. In addition to the refreshed livery, travelers across Hawaiian’s U.S. and international networks will begin to see the new logo throughout their journey – on web and digital assets, airport lobby signage and kiosks, and at boarding gates. Painting of all aircraft and ground service equipment is scheduled to be complete by 2020. 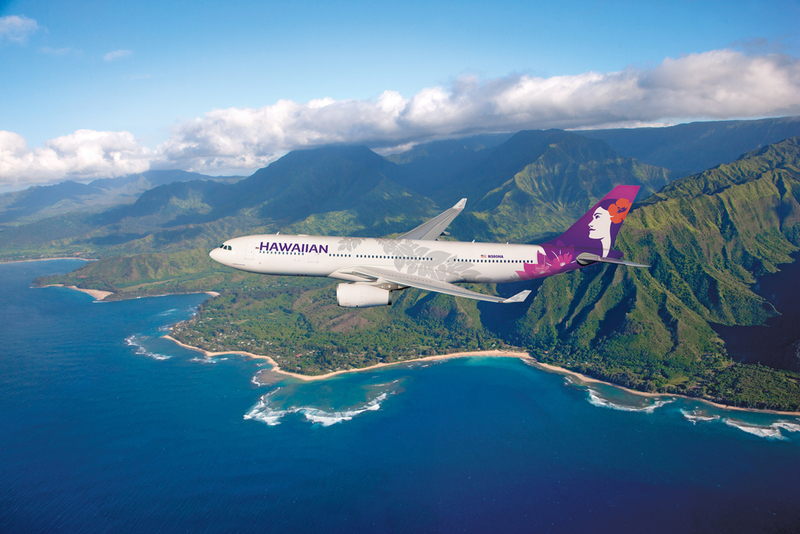 The new identity retains Hawaiian’s distinctive color palette of purple, fuchsia and coral. Pualani—the singular icon of the brand—remains at its core. The new logo and livery emphasize Pualani by featuring her more prominently and liberating her from the floral “holding shape” of the former logo. She gazes proudly with the wind in her hair, adorned with a hibiscus flower and framed by a Hawaiian sunrise. The expressive, organic graphics reflect the natural forms of Hawai‘i.